A few minutes of Dax and its thermal baths and its superstores and also its heritage, the cottage Rose T3 (5/6) invites you to tranquility. Adjoining the cottage Camellias T2 (2/3 people) but totally independent it can be rented with this one to occupy the entire barn. 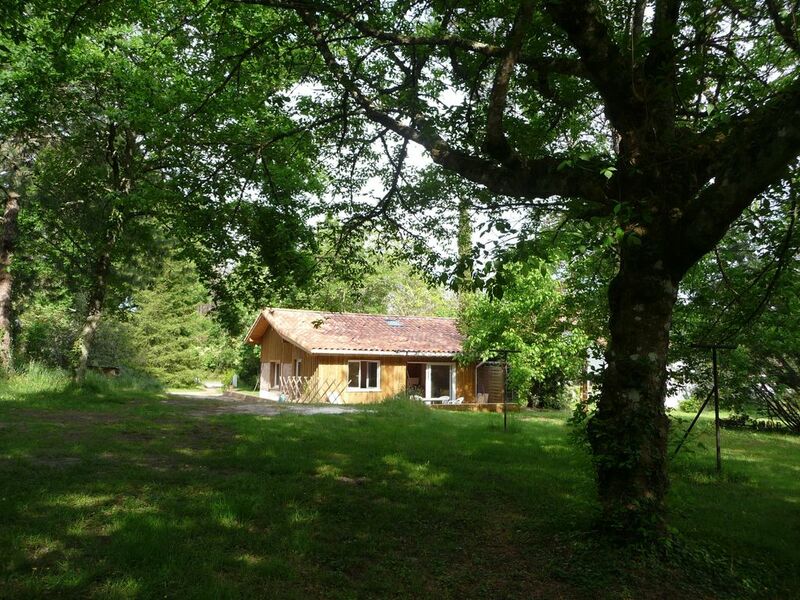 Set in a beautiful Landes renovated barn, which opens onto a park of two hectares, it is the ideal place for a holiday or a cure or nature and relaxation spa (with shuttle thermal baths of Christus). As a couple, family or friends, passing for a professional activity, discover this charming cottage fully equipped and functional, which opens onto a large private terrace where you can lunch in peace. Located near the forest, you will wander for hours on foot or by bike. A 30MIN ocean you can enjoy water sports (surfing homeland) .It is located in a region where we practice canoeing and horseback riding. At the crossroads of several ideal sites it will allow the pranks on the Basque coast (Biarritz 3 / 4h), Spain (1 hour), Bordeaux (1h20), Pyrenees (1:30) (hiking, skiing), Bearn (1h) ..